Hot Fudge for Habit Change – Love. Life. Practice. It’s not often that I get to come to this blog with a clear-cut “Hey, this worked exactly the way I expected!” anecdote. But this is one of those times. I have a weakness for hot fudge brownie sundaes. When I say weakness, I mean that the bowl of gooey yumminess is more than just tastiness, more than just a sugar high, more than even “comfort food.” When I was a kid, it was a symbol of accomplishment – my crafty parents, wanting me to look out the window on our long car trips, used it as a reward for me spotting a deer. The rest of the time, when we would go to the ice cream shop, they (the adults) would have an “FB” – “fudge brownie” – while we children had to settle for plain ol’ sundaes. That simple sundae – brownies covered in a couple of scoops of vanilla ice cream, slathered with hot fudge – became a symbol to me. When I became independent, it was that mark of rebellion: I can eat an FB any time I want! It was a mark of resourcefulness: I can buy my own FB, regardless of whether I see a deer! And, of course, as I grew to understand more about habits and diets and such, it became a weakness: I must resist the craving for FB’s, because they are Bad For Me. Shifting gears a bit: part of my group coaching process I’ve been participating in is coming up with concrete rewards for accomplishing the three tasks I would set for myself each week. Coming up with the tasks was never a problem; coming up with a reward was always a struggle. Mainly because if the reward involved money, it became a stressor, and if the reward was about an experience, well, that’s an area that I’m rich in already; there aren’t a lot of experiences that I deny myself if I want to have them. Even when I would come up with a reward, it didn’t always feel like one. 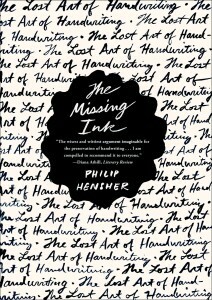 For example, I treated myself to something from my Amazon Wish List as a reward – a book on the handwriting, called “The Missing Ink”. I set the tasks, I did the tasks, I paid the $5 for a used copy which should arrive sometime next week. Guess how that makes me feel? 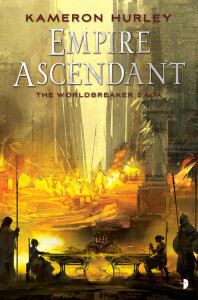 On the other hand, last week in the middle of busy work, I got my advance readers copy of Kameron Hurley’s new book. Thrills! I shook my fist at the heavens, both in thanks for such a treasure delivered and in despairing frustration at my lack of free time to indulge in that kind of deep reading. You see the problem? The thing I’d set for my reward was only vaguely satisfying, whereas something I’d totally forgotten about felt like Christmas in July. One day, at the end of the group coaching session, one of my fellow coachees mentioned that they were going to have ice cream as their reward. I was inspired: I was already primed to think of a fudge brownie sundae as a reward – in fact, I had to devote a measure of willpower to resist it. What if I made that the prize at the end of performing my tasks? Time to experiment! Natasha (who enjoys baking) was more than happy to help, getting brownie mix and the other essentials together, and asking me several times in the course of a week if I’d gotten my tasks done. When I did, and the moment came…that was possibly the best fudge brownie sundae I’ve ever had. Guilt-free, using my pre-existing conditioning (three decades worth!) to reinforce the habits I was wanting to cultivate. Even the tiny voice of But it’s bad for you! So many calories! was easily drowned out by an understanding of the benefits of relaxing, of not needing to resist, of channeling that weakness into the development of resilience. I hope, as the weekend comes, you can take a look at one or two things you love to do but maybe resist…and see if you can channel them into a positive force in your life. I can tell you from experience: it tastes great.